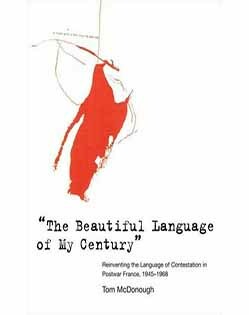 Tom McDonough, “The Beautiful Language of My Century”: Reinventing the Language of Contestation in Postwar France, 1945-1968. Cambridge and London: MIT Press, 2007. 273 pp. Illustrations, notes, index. $34.95 (hb). ISBN 0-262-13477-2. 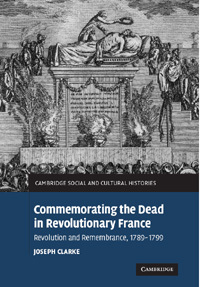 Joseph Clarke, Commemorating the Dead in Revolutionary France: Revolution and Remembrance, 1789–1799. Cambridge: Cambridge University Press, 2007. 316 pp. Illustrations, notes, index. $99.00 (hb). ISBN 0-521-87850-0. 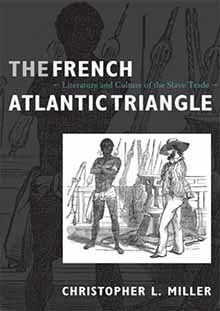 Christopher L. Miller, The French Atlantic Triangle: Literature and Culture of the Slave Trade. Durham, N.C.: Duke University Press, 2008. xvi + 571 pp. Illustrations, notes, bibliography, and index. $27.95 (pb.) ISBN 978-0-8223-4151-2. $99.95 (hb.) ISBN 978-0-8223-4127-7. Vivian Gruder, The Notables and the Nation. 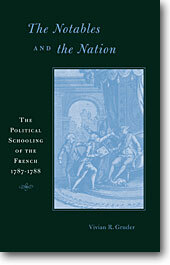 The Political Schooling of the French, 1787–1788. Cambridge, Mass. and London, Harvard University Press, 2007. x + 495 pp. Map, illustrations, appendices, notes, index. $59.95 (hb.) ISBN 978 0 674 02534 9. Joël Félix, University of Reading. William Doyle, University of Bristol. Nigel Aston, University of Leicester. Clarisse Coulomb, University of Grenoble. Response Essay by Vivian Gruder, Professor Emerita Queens College, City University of New York.